The 190 g/m2 Inkpress Light Satin (24.0" Roll) features a bright white base (94% brightness) and a waterproof coating. The paper's light satin finish is designed for graphics as well as photo prints and provides a high level of ink absorption. Thanks to the paper's instant dry time, your prints can be handled right out of the printer worry-free. The paper is compatible with dye- and pigment-based ink systems and is compatible with Epson, HP, Canon, and other major printer brands. 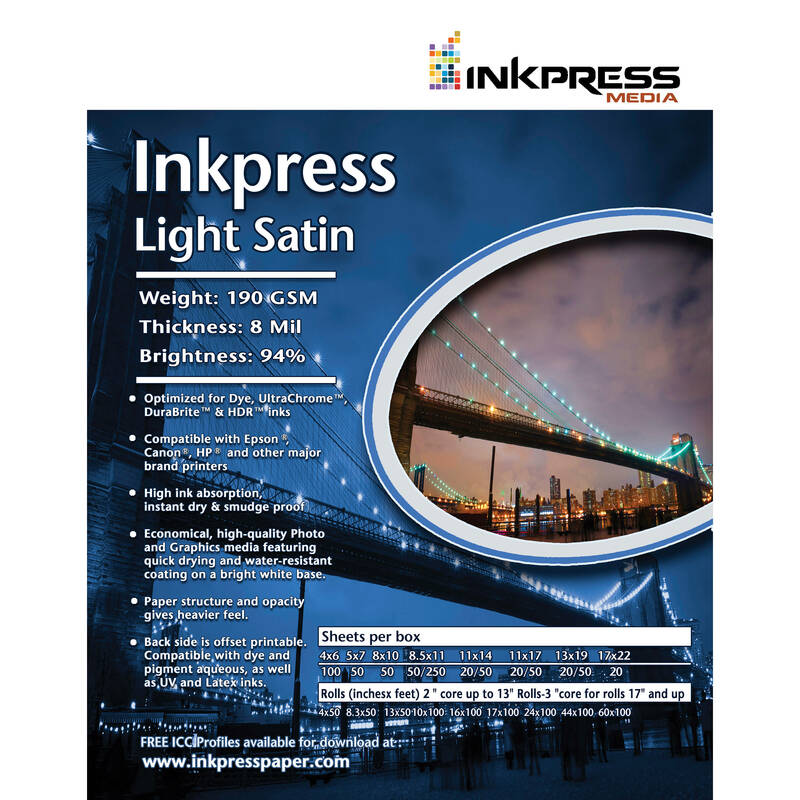 Free profiles for many printers are provided by Inkpress to ensure the best results with your printer. Box Dimensions (LxWxH) 25.0 x 5.1 x 5.0"